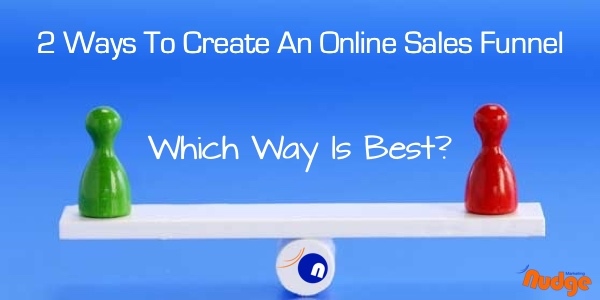 Creating an on-line sales funnel has never been easier. Gone are the days of everything needing to be hardcoded and expensive, and therefore not an option for the majority of small businesses. There are a multitude of apps and software available today. Many of them have been created for the non-techie user in mind, and they also provide upgrades and features for the more tech savvy. The great thing is, you can get started with the basics and develop your knowledge as you go. Many of these programs and apps are plug and play – if you know how to create a word or pages document, you’ll be able to use these. Most come with video tutorials and support of some kind. And (sadly) one that has many answers. In fact chances are you’ll get a different answer from everyone you ask. Because we all have our favourites when it comes to software. Below I am going to set out the 2 main ways you can create an effective online funnel. One is self hosted and the other is using external software. Both have their Pro’s & Con’s, which I will also cover. This is what you need as a bare minimum to get started. The first thing you need to do (if you haven’t already) is secure your Domain Name. If possible this should align with your business name. Ideally for brand protection I would suggest you purchase both if they are available, and redirect the second URL to your main site. 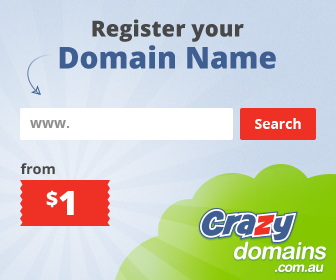 We use and recommend Crazy Domains for all of our Domain Name Purchases. The Hosting Company is responsible for hosting your website and making it available online, so choosing the right one is integral to your online success. 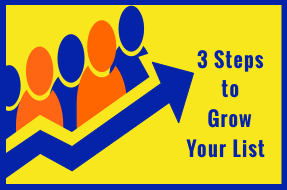 The key factors to look for initially are site speed, uptime, support and upgrade options (you’ll need these as you grow and become more successful). 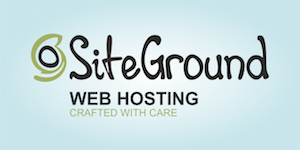 We have used various hosting companies since we began our online journey over 6 years ago, and for the last 18 months we have been using and recommending SiteGround. We use their Go Geek Package, it’s still a shared server however fewer users share the server resources. Why? Site speed, uptime, reasonable pricing and 24/7 customer support are our highest priorities and SiteGround tick all of these boxes (and more). There are a multitude of website builders available – WordPress, Wix, Squarespace, and Weebly are among the best known ones. Think of a website builder as the external walls of a house. We use and recommend WordPress (make sure you use .org and not .com). Why? Because WordPress offers the greatest flexibility, it can be customised, you have total control, it’s free (you have to pay to host it – see Hosting Company above), it’s (relatively) easy to set up and use, you can add tracking pixels and custom analytics, and there are plenty of Themes and Plugins to choose from. Perhaps most importantly, you can monetise your site. Think of the Theme as the Interior Design of your house. The Theme can be customised and you add your content to. Why? Because it’s a great Theme even when you’re starting out with little to no coding knowledge. 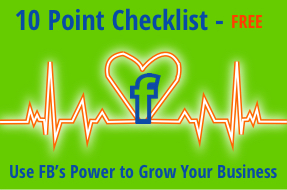 As your business grows this Theme grows with you, and it integrates nicely with all of the other products we use. OP2 can be used as a Theme OR as a Plugin, it’s Landing Page software you buy the rights to use on your website. It gives us the best of both worlds, we can create and distribute content via blog (the blog option is OP’s weakest component at this point, which they are aware of and working on) and create great looking landing and sales pages, either using one of their 50 templates or starting from scratch and creating our own pages. It’s relatively user friendly, mobile responsive, offers split testing, is inexpensive (US$197 1st year and US$59.95 yearly thereafter for updates and Online Support) and they offer online customer support. (There is also a really supportive Private Users Group on Facebook – I get a lot of additional support through this group). There are additional WordPress Plugins you should consider using that will improve your site and therefore provide a better customer experience (UX). I will cover these in an upcoming article. There are 2 types of Email Service Providers, list based or tag based. Some of the better known List Based providers are Mail Chimp, aWeber and Constant Contact. List based services are typically less expensive to begin with however their costs can become excessive as your list grows and your needs become greater. The major downside of a list based provider is if a contact belongs to more than 1 list they count as a multi contact, and therefore you are charged based on the number of lists they are on. 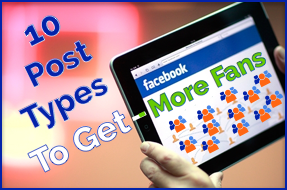 Some of the better known Tag Based providers are Ontraport, Active Campaign, Infusionsoft and Convert Kit. Tag based services provide a better user experience in the longer term as you can segment based on their actions. We use and recommend Ontraport and have been since 2011. It is hands down the best of the bunch. You’d think this would be the easiest thing to set up online, but my experience has been it’s up there as one of the more difficult. Actually getting paid is pretty straight forward, it’s what happens after you are paid that causes headaches. For an effective funnel you want this process to be automated, and getting your payment gateway to integrate with your other programs sometimes requires a 3rd party tool. 3. then the item is sent to them. We use and recommend PayPal Pro as a Payment Gateway. Why? Because this is a business solution and allows us to accept both card payments and PayPal payments. YouTube, Vimeo or Wistia for Videos. Some CRM’s also offer a limited amount of storage. Vimeo for our video storage. The key to self hosting is ensuring each of the elements you choose integrate and are compatible. Most service providers have a list of products that are compatible and products that have known issues. Take the time to plan. Think about what your needs are right now, and what your projected needs will be in 18 months time. You have ownership of all your content. Easier to stay on the right side of Google or Facebook when advertising. There is a learning curve, which can be steep if you have never used any form of technology in the past. Requires you to be hands on with maintenance and updates. Need to liaise with Service Providers when things go wrong (some Customer Support is definitely better than others!). 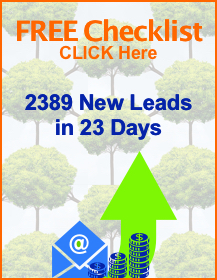 The second way you can create an online funnel is using a fully hosted software program. The primary difference of using Landing Page Software is it can be hosted by the service provider. This gives them all the control, they control your content, can shut you down at the click of a button if you don’t play by their rules (this is an extreme case but it has happened), loading speed and should you want to change it’s very difficult to migrate anything you have created. For this reason alone, we do not use this option. However in the fairness of this article there are other reasons YOU might want to consider this option, as it may be a good solution for you and your business needs. Before I get in to these lets look at some examples of Landing Page Software. This is a very easy program to use, there are many templates to choose from and LeadPages will show you which templates have the best conversion rates. Whilst this may seem like a positive feature, it’s not as guess what templates get used the most! This means your pages are going to look very similar to many other pages on the web. LeadPages can also be used to create pages you host on your own website, which turns this in to a very expensive option. Ontrapages as you might have guessed is program that’s been created by Ontraport. This software does take a little getting used to. It’s still in it’s infancy and can be a little clunky. 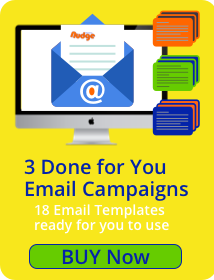 Ontrapages has a completely free tier, which you can definitely use to get started. As you grow you can progress into their paid versions. This option would be great if you are considering using Ontraport as your CRM. You can also host Ontraport pages on your own website. This can be a great option if you are taking payments and do not have an SSL certificate. I’ll be the first to admit this sales page does a very good job of convincing you that Click Funnels is the only way to go. Russell Brunson (the creator of Click Funnels) is brilliant at what he does, and this product is a fine example of that. Click Funnels allows you to build your funnel from one end to the other without needing any other software, or hosting. They do the lot! There is a 2 tier pricing structure Standard US$97 month and Etison Elite (Full Suite) US$297 month. If I was to ever consider changing from our current set up of self hosting, this would be top of my list right now. There are many other Landing Page Software products on the market, however I prefer to write about programs I have used and had some experience with. These Software Programs have been created for the non-techie user. However, to get the most out of the software there is still a steep learning curve. The majority of them are Drag and Drop, with minimal customisation options. I liken them to a Paint By Numbers painting. The downside is you are very limited creatively and your pages look like everyone else that use this software. If you’re just starting out this can be a very expensive option (the trade off for ease), especially if you aren’t using funnels on a regular basis. This puts the software provider in a very powerful position. If you stop paying you lose access to all you pages, which can make cancelling very difficult if you’re still trading. And transferring your copy from one provider to another is near impossible – it can be done, but chances are you chose this option because you’re non-techie, therefore you’d need to outsource this. When you don’t host your own pages you are effectively sending your traffic elsewhere. If you want to be found in Search results (Google, Yahoo, Bing) this is not the best option for you. Both Google and Facebook need to know you are a genuine business. One way for them to see this is if you have a multi page website. Neither Google nor Facebook will not approve advertising to a single page anymore. There must be a way for the reader to click away from the page (other than the opt-in). I think you’ll agree it’s pretty apparent I’m all for Self Hosting. Having control and ownership of my content and site, along with the ability to drive traffic and utilise the 2 biggest advertising markets on-line are compelling reasons for. It hasn’t always been easy, but it’s been fun. Software is progressing at such a fast pace that even the option to Self Host can be managed using plug and play. Most hosting companies offer one-click installs for WordPress and their support are always there to lend a hand. Over to you. If you have any questions at all please ask them below, or if you’d prefer a little privacy click here to send us a private message on Facebook.